20 kids showing up for kids City Camp every day during our first week. We were warned before things started that there might only be a few kids and that they might not show up consistently. Instead we had one of the best turnouts ever, and our numbers were consistent from day to day. Seeing how well our teens had prepared for their tasks. The team was divided into five groups that each prepared games, lessons, devotionals, crafts, and more. They did some of this with their groups and group leaders, and some on their own. Although I did check in regularly during the months before the trip to make sure they were doing the necessary preparation, there was still a large extent to which I had to trust that they were doing what had been asked. That trust was well founded as everything they prepared was done with excellence. Highlights included some creative and powerful Bible lessons for the kids, and insightful devotional thoughts that were shared with the rest of our team. Working with another group of Canadians from Saskatchewan during our second week as we ran YoungFriends together. Many of the kids and teens we had worked with during our first week returned and a few new ones joined to take part in English conversation centered around the book of Luke. The many tears that flowed as we closed our final night with the teens in Estonia. Estonians aren’t known for displaying a lot of emotion, but it was on full display that night. Similarly, many of our teens and young adults that I have never seen cry were overcome with emotion that evening. This was a testimony to the powerful way that God had been working for the past two weeks. Now that we are back in Calgary, we ask that you continue to pray. 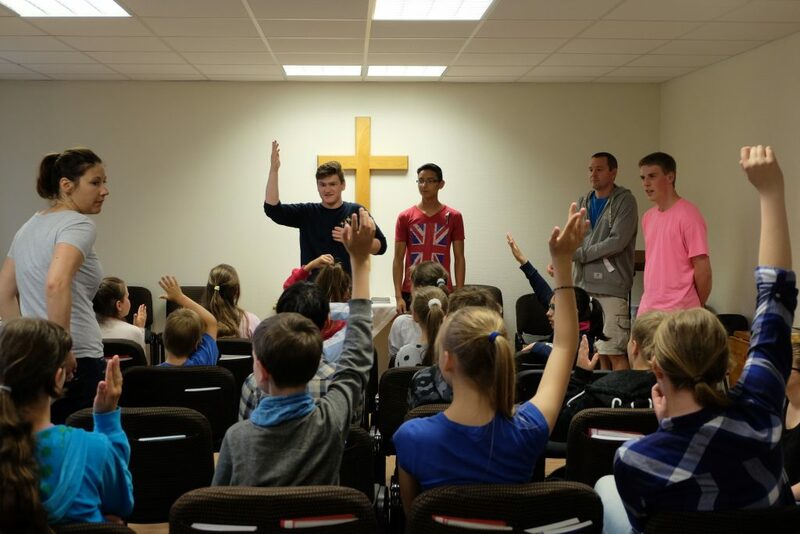 In particular, pray that God will continue to bless the church in Estonia and work in the hearts of the young people we encountered during our time there. Also pray that God will continue to work in the lives of our teens and young adults who saw God working in new and exciting ways over the first two weeks of July.